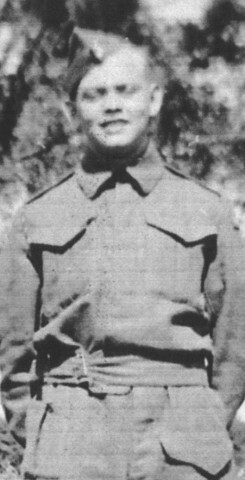 George Murray (Bud) Jackson was born in Windsor, Ontario and enlisted with Les Fusiliers de Sherbrooke, Quebec, Canada. He was 16 years old. George landed at the beaches of Juno on D Day. After the war, he and his family lived on Lot 13, Concession 5. He was 70 when he died on January 22, 1996, in Sackville, New Brunswick.